In addition to climbing the charts at a rapid pace, Cardi B's colossal takeover has now also infiltrated into the educational system. While the original version of the rapper's viral hit, "Bodak Yellow," may not be entirely appropriate for the classroom setting, educator Erica Buddington has found a brilliant way to get creative with the song, using it as an aid to help teach her students about geography. As shared on her Twitter account, the teacher, who currently works at Diddy's own Capital Preparatory Harlem Charter School in New York, created a remix of the song, tactfully replacing Cardi's original lyrics with bars that fit into her lesson plan about maps and geography. "Said: You can know the globe if you wanted to," the remixed song's lyrics read. "7 continents, 5 oceans, and 4 hemispheres too / Got three climate zones; polar, temperate, and tropical / And I north, south, west, east, like my compass is cardinal / Hey I don't guess, said I know my longitude / Said I don't guess, yeah I know my latitude / If you see me with a map, ask how I get to school / I'm gon' point out the direction, ain't gon' give you attitude." 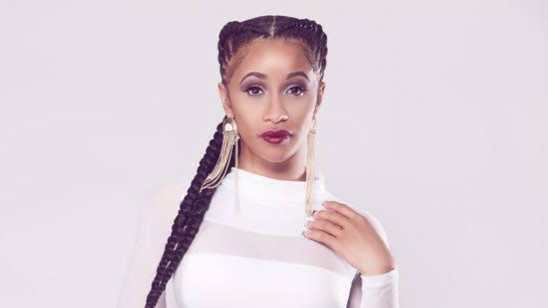 As it turns out, Cardi B herself loves the educational twist on her song as much as Ms. Buddington's students do. The rapper took to social media to express her excitement, while also adding that the remix's creator deserves a raise. "It's LIT I LOVE THIS," Cardi captioned her Instagram post, along with a slew of emojis. "BODAK yellow ...Maaannn I wish my teacher did [an] educational remix to get your freak on when I was in school. Dear Miss teacher ....you need a raise." Not only is Buddington's version catchy, but as an educational tool, it's effective. According to her Twitter, her students have already memorized her version of the song and in turn, are retaining the valuable information found within the catchy lyrics. Absolutely incredible. Take a look at Erica Buddington's spin on Cardi B's hit song, as well as peep the lyrics in full, below. Students received the lyrics yesterday at the end of class. They knew the entire song by this morning.